Foods to Help Alleviate Arthritis Pain - All Care Hawaii. LLC. If you are the caregiver for an aging loved-one with arthritis, you might be looking for ways to help your senior feel better. While nothing can beat medications and treatments prescribed by your doctor, there are several ways that you can help them to deal with arthritis at home, including making some changes to their diet and exercise plans. Light exercise is actually helpful in increasing blood flow and reducing swelling of the joints, so a regular workout plan can be a great idea. When it comes to foods, on the other hand, you have many different options. Here is a list of some of the best foods to help relieve arthritis symptoms, most of which you may already have in your kitchen! Fish – Not just any fish: fatty fish. Fatty fish like tuna, trout, salmon, and mackerel contain something called Omega-3 fatty acids, which fight inflammation. Eating these types of fish a few times a week can help reduce inflammation in the joints, but if your loved-one doesn’t care for fish, ask a doctor if they can take an Omega-3 supplement instead. Tart cherries – Foods that include tart cherries, like juice or snacks, have been shown to lessen the pain that arthritis brings. It also decreases the stiffness felt in the joints and can make moving around much easier. Be sure to get tart cherries, though, not maraschino! Cruciferous vegetables – Cruciferous vegetables such as broccoli, cabbage, and brussels sprouts can help to slow down and repair damage to cartilage, making them the perfect foods for someone with osteoarthritis, since it affects the bones. These vegetables are easy to find, as well as easy to add to any meal as a side dish or a part of the main course! Turmeric – Turmeric is a spice largely used in Indian cuisine. It has been shown to reduce inflammation and joint pain, which can be a godsend for arthritis sufferers. Dishes such as curries can be great for arthritis sufferers, and can be a terrific way to change up your normal dinner routine! Any foods that have anti-inflammatory properties can be helpful to ease isome of your loved-one’s arthritis pains. Don’t forget to take into account any food allergies your loved one may have, though, and consult a doctor before starting any drastically new diet. Also keep in mind that food alone, while beneficial, may not be the only thing that your loved-one needs when it comes to treating their arthritis. A doctor can prescribe medications that may help reduce swelling and inflammation, and exercise can be helpful as well. In fact, even caregivers can benefit from these diet and lifestyle changes. When your loved-one exercises, you can exercise along with them. And don’t just prepare these special foods for your loved-one, make enough for the whole family! It is never too early to start taking care of your joints, and it may even help prevent you from getting arthritis yourself later in life. 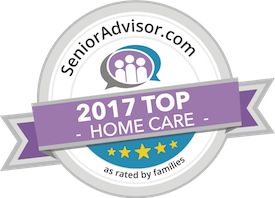 Have questions about home care services in Hawaii Kai, HI? Contact the caring staff at All Care Hawaii today.